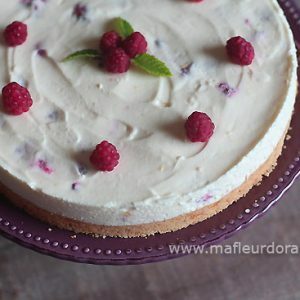 Je vous présente ici la recette du véritable cheese-cake new-yorkais ! Une recette trouvée sur le livre « Un goûter à New-york ». 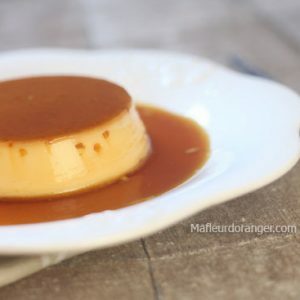 J’aime bien le goût acidulé de la crème qui lui donne un peu de fraîcheur, accompagné d’un coulis de fruit rouge ou tout simplement des fruits frais c’est tout simplement exquis . 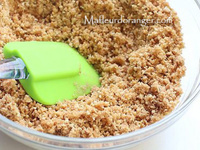 La recette est pour 12 parts, pensez à diviser les quantités pour en avoir moins. 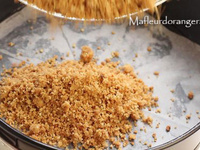 Préchauffer le four à 175°, émiettez les biscuits et les mélanger au sucre et le beurre fondu. chemiser le fond d’un moule amovible de papier sulfurisé et beurrer les bords. Tapisser le fond du moule du mélange à base de biscuit. Mélanger tout les ingrédients ensemble en fouettant pour obtenir une préparation lisse et homogène. Verser le mélange sur la croute sortit du four. 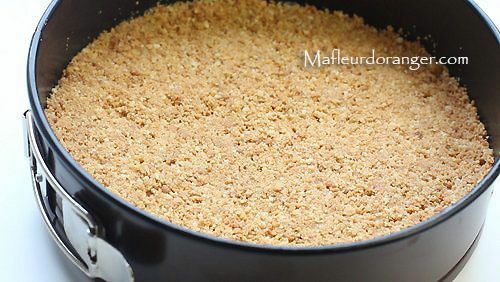 Enfourner le cheesecake pour 10 minutes à 225° puis réduire la température à 120° sans ouvrir le four et laisser cuire durant 1h 15. Sortir du four et laisser refroidir avant de mettre au frigo et laisser durant 12 heures avant de servir. 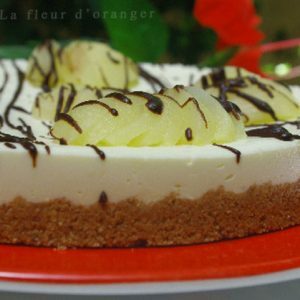 Comme il est beau ton cheesecake ! ah! 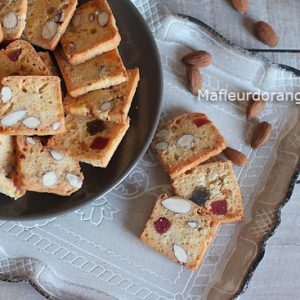 tes photos, tes recettes, ta vidéo , je suis fan.. alors comment résister…… "coquine ", je prends des kilos .. mais c’est si .. bon.. , bisous bisous , TITOU……..
Oh la la, comme il est beau !!! 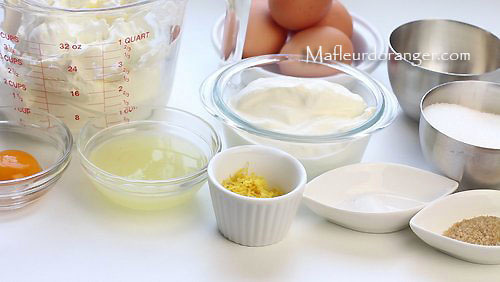 Peut-on remplacer le Philadelphia par du mascarpone svp ? 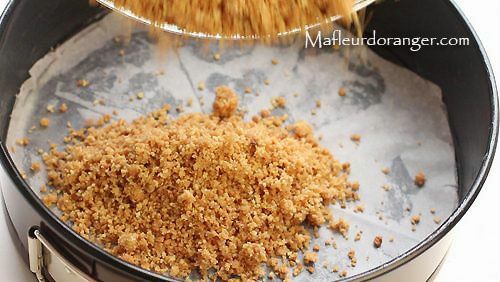 Salam Alaykoum bravo pour la recette elle est réussie. 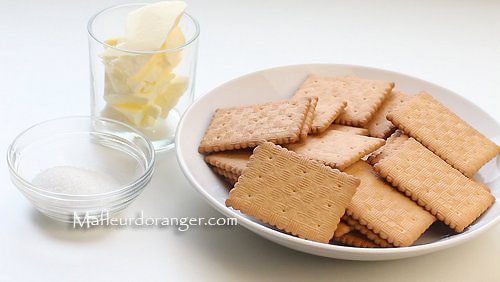 J’ai une question : a ton avis est-ce que je peux faire une autre recette avec seulement 150g de Philadelphia ?? Merci de ta réponse. 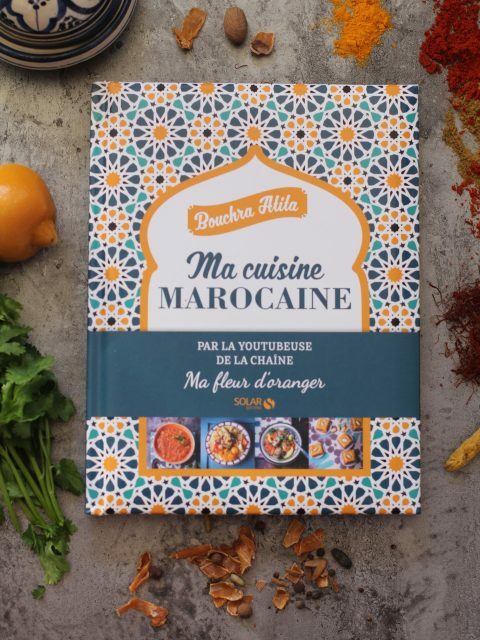 Salam Alaykoum bravo pour ta recette, elle a l’air appétissante. 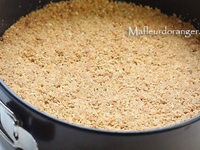 J’ai une question : est-ce que je peux faire une recette avec seulement 150g de Philadelphia ? Merci de ta réponse. 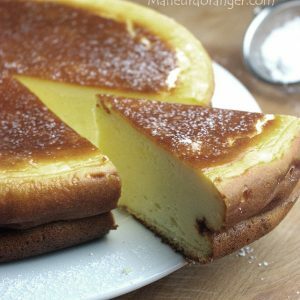 Salamolaikoum, très appétissant ce cheese cake tbarkllah alik ,j’ai une question par rapport au fromage est ce que c’est obligé le Philadelphia j’ai le fromage à tartiner marque du magasin est ce que je peux le mettre? Merci d’avance. Peut on remplacer le fromage blanc ? 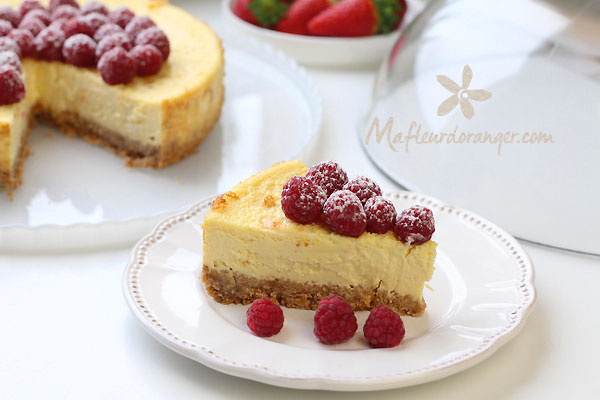 This website have very sweet and yummy dish related articles like cakes, ice cream and more. Everyone must love such collection. I have searched couple of days and found some interesting writing on it. But it is the best of all. Thanks for writing this. 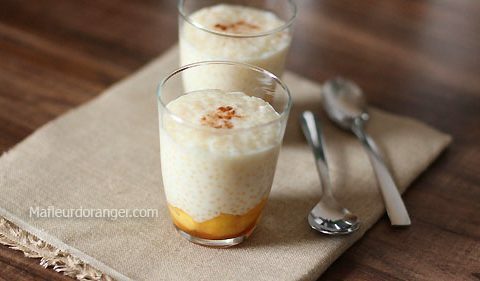 What a great website which have superb collection of sweet dishes. I really happy to find this site. keep sharing. certainly a fantastic piece of work. It has relevant information. Thanks for posting this. Your blog is so interesting and very informative.Thanks sharing. Definitely a great piece of work. Thanks for your work. Two full thumbs up for this magnificent article of yours. I’ve really enjoyed reading this article today and I think this might be one of the best article that I’ve read yet. Please, keep this work going on in the same quality and thanks for sharing. This is good way to help other. I will bookmark this post.I want to say thanks for this post. Super quality content with interesting style you have shared with us. this is a totally informative foe me so I want to say thanks for this post. Lovely writing & very well explained, very informative it will help students in academic field. I’ll follow your post it is very helpful.I am addictive to your blog whenever go online I visit your blog because it keeps me updated. You are natural there is something in your blog which is driving me I always your posts thank you for updating us. Thanks for sharing this interesting blog with us. My pleasure to being here on your blog.You done certain good points there. I did a search on the subject and found nearly all persons will agree with your blog. Armed Security Guard Companies – Looking for an armed security guard company to protect yourself, your institution, or your valuables? If so, you’ll want to be sure that the company you select will assign a licensed, experienced armed-security professional who is committed to providing you with the fullest sense of safety and confidence. 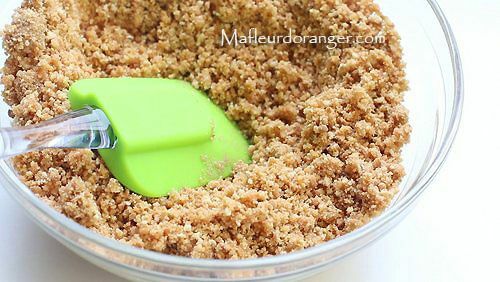 This is a great recipe of Sweat cake, cake is my favorite. I want to say that you have shared an awesome article with us. I like fruit cake very much. Thank you for your post, I look for such article a long time, today I finally find it. This post gives me lots of advice it is very useful for me. Amazing stuff shared here. I love your collection and selection. Really good job done. Thanks for posting such mouth watering snacks, thanks for posting. I think this is an informative post and it is very useful and knowledgeable. therefore, I would like to thank you for the efforts you have made in writing this article. You are doing great work by sharing this information with us. c’est tout simplement exquis .